A Great Showcase & Open House! 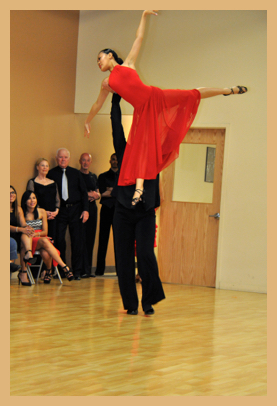 The May 24th Dance Showcase and Open House offered spectacular performances. Here Lucas Holcomb and Kerr Ding display a lift that drew applause from the crowd.